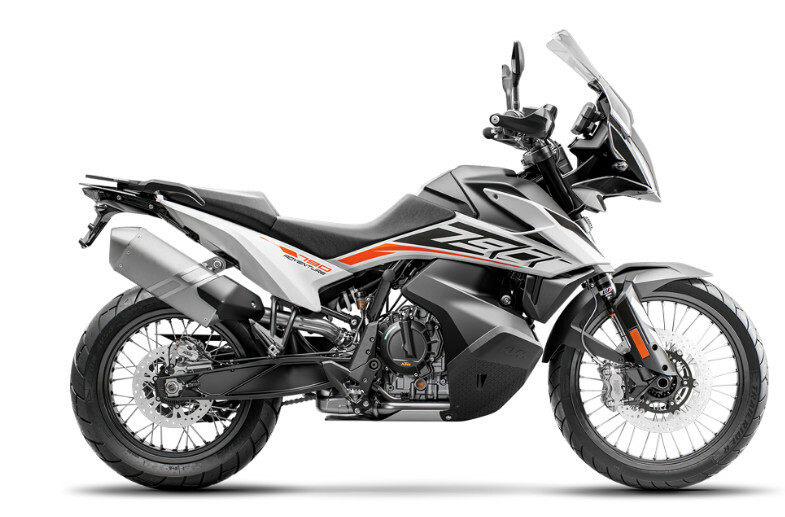 Although we have not received official word from KTM, several reliable sources are reporting that pricing has been set for the new 790 Adventure and 790 Adventure R, the exciting lightweight adventure models featuring the same parallel-twin motor we fell in love with during our recent test of the 790 Duke. The more dirt-focused 790 Adventure R will be priced at $13,499, while the slightly more street-oriented 790 Adventure is $12,499. These prices are reasonable when compared with competitive models, such as the Honda Africa Twin and the Triumph Tiger 800 models. If you are interested in the details on each bike, you can take a look back at MD’s earlier reports on the 790 Adventure R and 790 Adventure. A KTM 450F is some 15 lbs lighter than a Japanese 250F, this is unbelievable, back in the day (20 years ago) The magazines would go bezerk if you could lose 1 lb with a 300 dollar titanium bolt kit. KTM seems to be on top in research & development and trying to get the models to market that the public ask for, I’m sure that whole process of figuring out what to bring to market, is a a nightmare for any company. Glad we have so many choices now. I also like the Honda 500 adventure bike, small and cheap. For me, I will have to wait for a “Used” 790 if I ever own one. 1000 XT Adventure and F850GS. The lighter end of the adventure and adventure touring classes are getting exciting as they focus on weight reduction and price. Eventually we will all realize that KTM was nimble enough to bring this bike to market before the long awaited Yamaha T7 which will likely be it’s best competition in a year or so. The 790R will be my 6th KTM I’m MotoCrosser by trade, must ride pavement to get to the off road which I feel more at home. I believe this will be a good one . KTM’s head of styling must have some sort of insect fetish. My off road bike is a 2009 250xcw, still has original piston. Electric start and a rekluse clutch….. perfect trail bike for an old guy like me. LOL, this was a response to Blitz11 below. I consider myself to be reasonably computer and tech savvy since I use one to make my living. However, this site confounds me from time to time. I think the R model might be the best looking adventure bike I have seen. However, looking at the rear of the bike I am skeptical of the cargo carrying options. Reminds me of one of my all time favorite bikes only lighter, more powerfull, and one more gear, the 1989 Honda XL600V Transalp. Too bad about the cantilevered light/clocks/wind deflecter, and of course the price. Not so many sharp edges as usual also. WRONG … The originals Transalp was only 386 llbs whereas this new KTM will likely be significantly over 450llbs all fueled up with a battery and coolant and oils etc …KTM ONLY gives a “dry weight” of 189kg …please Google “motorcycle dry weight” …what I read is that for instance the typical advertised “dryweight” of sport bikes is SEVENTY POUNDS lighter than a fully fueled ready to ride example of same model ….why? Well Wikipedia says “dry weight” is a term that excludes the weight of “consumables” including not just fuel but the coolant, fluids, oils and even battery! SEVENTY POUNDS! That would put this new 790 adv not that far south of 500llbs! The originals Transalp 600? a feather compared to that! If you think these are over priced now wait until you find out that Katoom is going to make them in China. $15K is not practical for this working man… plus I’m not seeing it giving twice as much enjoyment as I’d get from a 2019 CB500X, which will also have a much lower operating cost. Plus I could invest the price difference in blue chip dividend stocks and maybe be able to afford a few long motorcycle tours after I retire. Just can’t shake the fact that if you Google search for “KTM problems” by the time you wade through the issues you’ll be too old to ride a motorcycle. Reminds me of a Ducati of dirt bikes. I want to get home if I’m 50 miles in. But its got personality no doubt. I don’t understand the “KTM Problems” issue. I have two 2004 KTM EXC 200s (one for each of my daughters) and I’ve put one piston in each (but probably didn’t need to as they were in spec). I’ve done nothing to them other than changing fluids annually, brake pads, tires, chains, sprockets. well, and plastic after they run them into the trees, but that’s not the bikes’ fault. I have a 2015 Duke 690 with 15K miles (been busy, not riding much), and I’ve only changed fluids. I checked the valves at 6K and 12K miles, and they’re in spec, and haven’t moved. My buddies and brother who own KTMs have the same reliability record. My daughter has a new 790 Duke, and it’s really well engineered. I’d buy another in a heartbeat. Scheduled maintenance goes a long way to improve dependability. You’d make a bad scientist. I have a phd in electrical engineering (other degrees are mechanical engineering), so I agree i’d probably make a bad scientist, particularly a bad physicist. Physicists make stuff up (cold fusion, quarks, Higgs boson, yada yada yada), and every 10 years they say, “Dang it. We’re COMPLETELY wrong.” Then they come up with some new theory, convince the NSF that they need $10B to investigate X. The NSF gives them $10B, and a decade later, they prove that wrong again. Brilliant, if you think about it. However, i don’t work that way. If you google search for anything all you will find is problems. KTM’s are extremely reliable. Myself and several riding buddies have had them for years without problems. Why do you think KTM dominates in all forms of off road riding and racing? They are simply the best! Now if you want to talk about Ducati’s that is another story. Utter nonsense. I’ve owned seven KTMs and six of them have been virtually trouble free. The only one that caused me any grief was a 1993 model. My current 2017 1090R has never hiccupped in 15K miles and has been subject to one recall. Conversely, we have a 2015 Yamaha R3 currently (wife’s bike) that has been subject to more recalls than any bike I have ever owned (I think the present count is six). BTW, if you are trying to cast the same blanket over Ducati, you’re living in the 1980s. I have owned three of those…..all totally reliable. I still have a 2014 Multi and would ride it anywhere. Blitz – I also have a 2004 200EXC that my daughter has ridden for years. It still has the original piston in it. Yeah, i pulled the top-end mostly out of guilt, and the piston was in spec, as was the ring end-gap. (Amsoil Dominator i guess works.) I though “what the heck – it’s apart” and installed a new piston and ring. Kept the old pistons (it’s 10 years now) “just in case.” Never needed. They definitely seem to have the right bits to make them really good ADV bikes. They are KTMs so the owners will be wrenching on them more than. Honda or BMW. As far as price goes…. welcome to the new normal. My tallywhacker is reading about 200 durometer looking at the R.
Personally, I think it’s a great bike aimed at the right market. Only time and customer usage will tell whether it has the reliability and durability of design to achieve long-term production. May I add: It doesn’t have a heavy flywheel like a Royal Enfield Himalayan. Yeah bought the Royal Enfield is a real contender! So long as you don’t want to pass anything or ever loft or the front end or carry a bunch of gear while maintaining steller acceleration and braking …. keeping your kidneys intact on long stretches of rough…seriously I am not knocking the RE if someone is ultra budget minded or whatever…but just know you would not likely not be welcome to ride along with a group on modern larger displacement bikes on a long group tour … the group would just want to keep waiting for you on the highway sections But for the quirky individual camping on a budget? Okay …whatever …I would not want one that’s for sure …not that I am wild on the idea of heavy adv bikes of today in the dirt …btw someone could use about any motorcycle for an “adventure bike” ….even a scooter. If you like it? And it fulfills your illusions? Go for it …Personally I would be bored silly….I want something quick (ie FUN) that can haul asks on the highway in comfort and fly along on dirt roads also …I don’t want something that is merely able to make it eventually …its way more that the destination! It’s RIDING The bike more than anything for me….the destination is just the matrix for the riding! THe excuse, the challenge…THAT “adventure” rather than just testing how much pain and boredom I can withstand! I think that the cheaper Adventure model makes for a competitive lightweight sport-tourer with an emphasis on sport. The KTM omparables favorably with bikes such as the Yamaha Tracer 900 GT, which seem to have more of a touring focus. For me, the Duke would be a better buy. I think that it’s the cheapest bike on the market that is equipped with an IMU. The stock suspension is good, but could be upgraded. Add a windscreen and Ventura luggage, and you’re ready to tour! Sorry, I couldn’t resist a plug for Ventura. I’ve been waiting for this bike. My friend Fast Phil is going to purchase a R for himself and regular 790 for me. I feel this will be a great purchase. KTM is a great company. Price is high but not unexpected. Costs much more than the 990 from several years ago as I recall. Probably a better, more agile bike than the Honda though. I still would rather have a 500cc ADV twin. Bikes are increasing in price to the point where they cost more than entry level cars that are dramatically more expensive to produce in material costs alone. If you think about the sheer amount of technology, parts and materials required to build a 3000 pound $10,000 car, it absolutely dwarfs what goes into a 500 pound $15,000 motorcycle. True, but it is matter of produced quantity. Cars are made in incomparably higher numbers, thus cost of development and tooling amortisation is spread and price goes rapidly down. Also, motorcycles yearly models are updated quite often which incurs cost rise. That is partially true, it definitely offsets the engineering costs, but the materials/parts cost is almost an order of magnitude lower. And you have some motorcycles that get a ton of engineering energy and still are relatively low priced, while other models have endured for 20 years without being touched and *at best* don’t go up much in price. It would make more sense if they released a model and the price never went up. At the end of 20 years, they’d still be competitive. Plus many improvements are provided by the suppliers and just drop in. They might do better by eliminating a lot of models/engines, share more platforms and reduce wide variety of engine sizes. When the 500cc version comes out, it will probably be $12K and this bike will be up above 15K. H-D has done just that; reduce the number of engines/models over shared platforms and they are the most mass produced motocycle available in the American market. They limit or entirely neglect model changes/development/improvements and source the majority of their components from low-cost countries. Why then do they charge $30,000 for their product? It’s not about giving you value or quality per dollar but increasing profits. Now that this model is working less and less for them, they must start reversing the way they do things to match others in the industry. Scooters, you are comparing cars to scooters. What this article is about is a higher end motorcycle dedicated to a purpose. The bike would be phenomenally cheaper if KTM wasn’t as concerned with weight as it is, nor were they concerned about suspension damping and single track handling. But they (and most other bike makers) are concerned, and that lightness and suspension technology cost moolah. Heck I can replace all four shocks on my wife’s car with a set of cheap-as-chips Monroes for maybe $120, and it would ride better than it does now because 999-1000 drivers in cars can’t tell. That same $$ wouldn’t buy just the correct-rate spring on the rear shock of this bike, much less the entire shock not to mention the forks. Brakes? Night and day in terms of strength AND lightness compared to your car. Scooters on the other hand? Meh, toss some cast iron rotors and two piece calipers, need it to be more rigid? Weld on some more metal. Build it the same way year over year with minor variations in plastics and lights and use the same GY6 engine designed in the 60’s because they are just simple tools, practically a stone axe compared to a modern road going bike. Could modern bikes be cheaper? Absolutely, and I fear that manufacturers are going to push the boundaries of what consumers are willing to spend for them. If you want to have your eyes popped out of your sockets, search for the margins on UTVs and side-by-sides and compare THAT to a car. Polaris and Can-Am are laughing all the way to the bank with those. Eh…looks better than the recent KTM Dukes. Granted, thats a rather low bar to clear, but still. This thing may be highly competent technically, but it is exceedingly ugly and that would lead me away from buying (in fact I am not looking for another purchase at this time). It strongly resembles turkey. However, if that is the way they picture motorcycle and customers will buy it, I wish them well. Eh…it looks better than many of the recent Dukes/SuperDukes. Granted, that’s a rather low bar, but still. It’s an adventure bike so of course its ugly. KTM’s have always been ugly but since adventure is the basis of most of their models it goes with the territory. 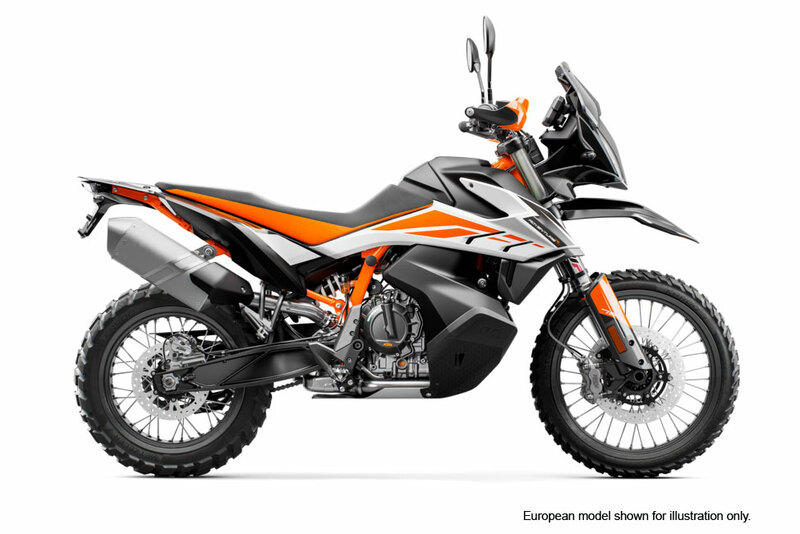 KTM’s are not as ugly as they used to be in part because we have gotten used to them and ugly adventure bikes. We have also gotten used to the necessity of form following function in adventure bikes. Besides the looks the only flaw to someone like me who has an adventure bike for touring and never getting more than a few hundred yards from a gravel road is the wind protection looks a bit meager. Only being on one would tell however. Years ago, BMW’s worst competition was it’s best selling models of the K75. They cost essentially the same to produce as the K100 but were much less profitable. I think most mfgs would rather sell lots of less profitable bikes than a few very profitable ones. The dealers want volume, a lot of their profit comes from accessories. KTM is on a roll with best or almost best in class products. They also sold tons of K75s because they are a phenomenal bike. Its a shame they no longer offer a middle weight K bike anymore. The F800s are nice and “better on paper” but not as good. KTM is aggressively taking the Adventure market. Atleast the offroad side. 500exc/690Enduro/790R/1090R/1290R! Take any of these models and tell me what the competition is. KTM has them all covered. Not saying there aren’t options, but what bike do you think is better than any of those mentioned offroad? The 500EXC has legit competition. But from the 690 on up, KTM has the edge if off-road prowess is a high priority. It would seem that either the 1090 is living on borrowed time, or is about to see a bump in displacement (and of course price). Time will tell, but there have been spy photos that suggest the latter to be true. You can get Africa Twins all day long for $10,000. Reasonable I think, although price is still not available up here in Canada. I’m seriously considering buying one of these two this year. They’ve kind of priced themselves in a corner: The 1090 a little more, and the 680 a little less. Not much wiggle room. That said – a whole bunch of electronics, hopefully light weight, and once you fill it with fuel, in some countries you could sell the extra 10 gallons on the roadside to fund your trip.